NHB recruitment 2017 notification has been released on official website www.nhb.org.in for the recruitment of total 02 (two) jobs out of which 01 (one) vacancy for RTI Consultant, 01 (one) for Accounts Consultant vacancy. Job seekers should apply from 12th December 2017 and before 05th January 2018. Here on this page you will get the details like the Name of vacancies released by NHB with exact number of posts. Some other criteria like Education details, application fee and way to apply application for NHB recruitment 2017. Educational Qualification: Bachelor’s Degree in from a recognized University in any stream and relevant experience for S.no-1. CA (full time), ICWA (full time) and experience for S.no – 2. Age Limit: 62 years as on 01.12.2017. Interested and eligible aspirants should apply online through the website www.nhb.org.in from 12.12.2017 to 05.01.2018 and send hard copy of Online application along with relevant documents send to Dy. 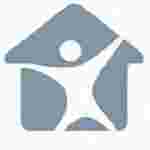 General Manager (HRD) National Housing Bank Core 5A, 3rd Floor, India Habitat Center, Lodhi Road, New Delhi-11003.